The first truly comprehensive monograph in English on this important twentieth century artist. Edward Horswell has lived alongside Bugatti’s work for some fifty years. He joined the Sladmore Gallery in 1975 and ten years later took over as director, since which time he has seen interest in the sculptor’s work increase tremendously. The gallery has collaborated with and loaned exhibits to all the recent museum shows devoted to Rembrandt Bugatti, including the Alte Nationalgalerie in Berlin and the Petersen Automotive Museum in Los Angeles, as well as mounting its own series of exhibitions of his work in London. 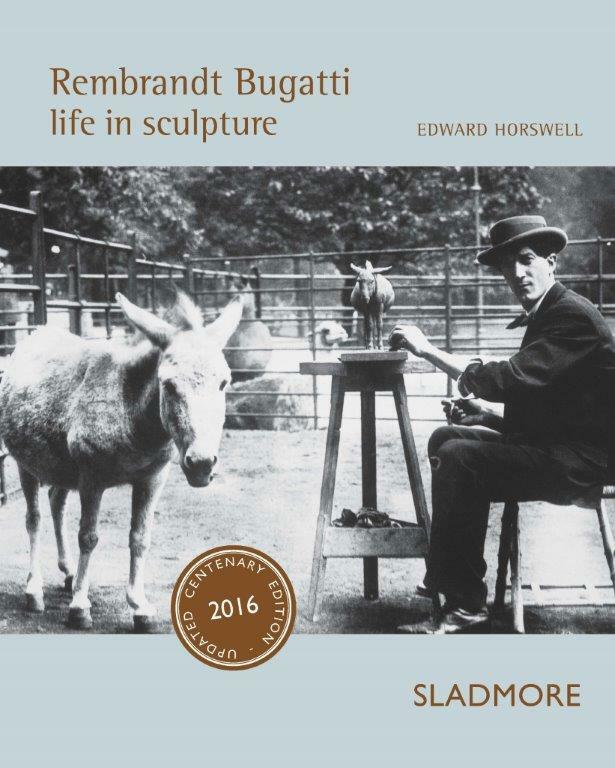 In ‘Rembrandt Bugatti – Life in Sculpture’ Edward Horswell examines Bugatti’s at times fraught personal life, his relationship with dealers, his position in art history and the wide-ranging artistic influences apparent in his works. It discusses the sculptor’s innate empathy for the life of his subjects, and reveals him to be a fascinating figure, independent from, yet not unrelated to the artists of his time. This updated lavishly illustrated publication will be a revelation to those discovering the artist for the first time. For those already aware of his brilliant vision and unsurpassed sculptural skills, it offers a spectacular photographic archive of his works, and much fresh thinking and research about his career.